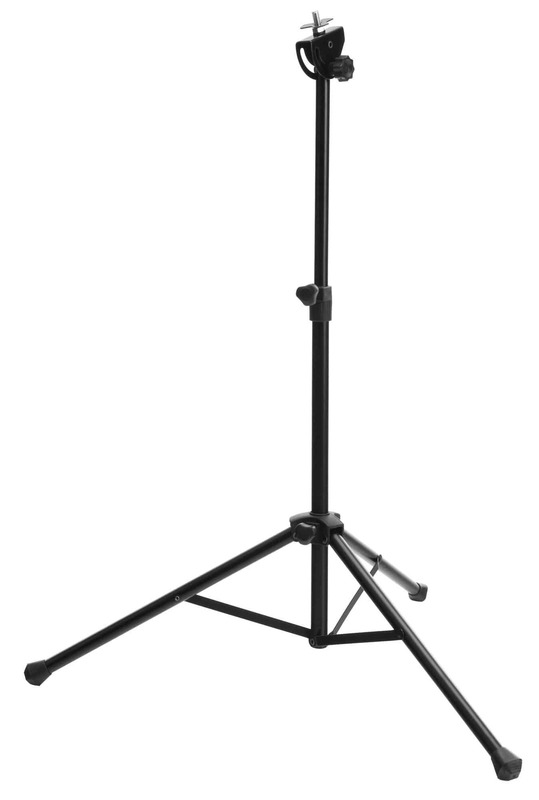 6 different practice programs for precise rhythm and timing training! 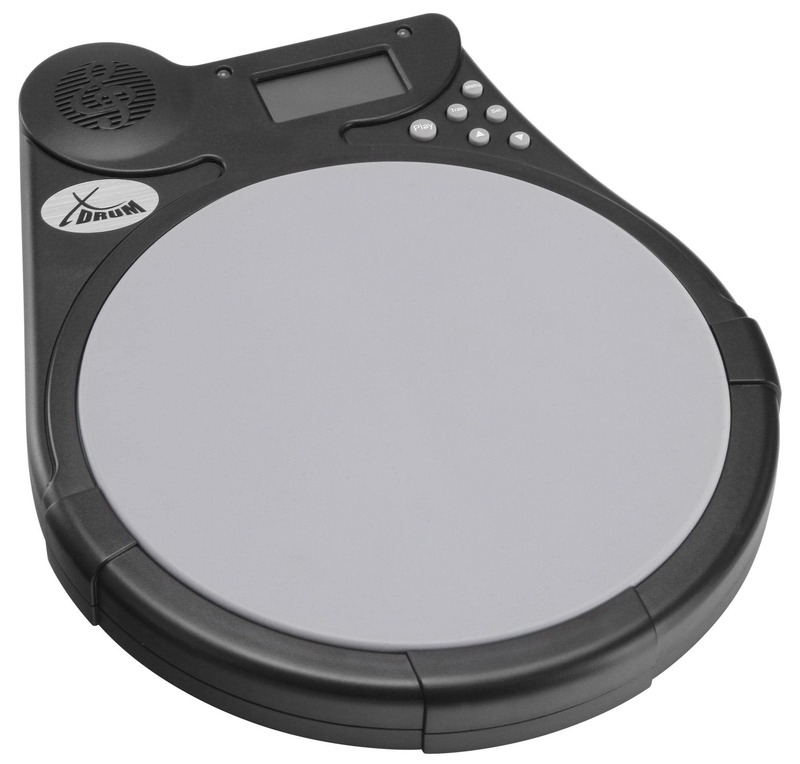 The XDrum DT-950 Drum Trainer Rhythm Coach offers an ideal and affordable support for the drummer who is looking to work on his or her timing or rhythm feel. It offers different practice programs, has a 19.5 cm silicone pad and has a large selection of drum styles. 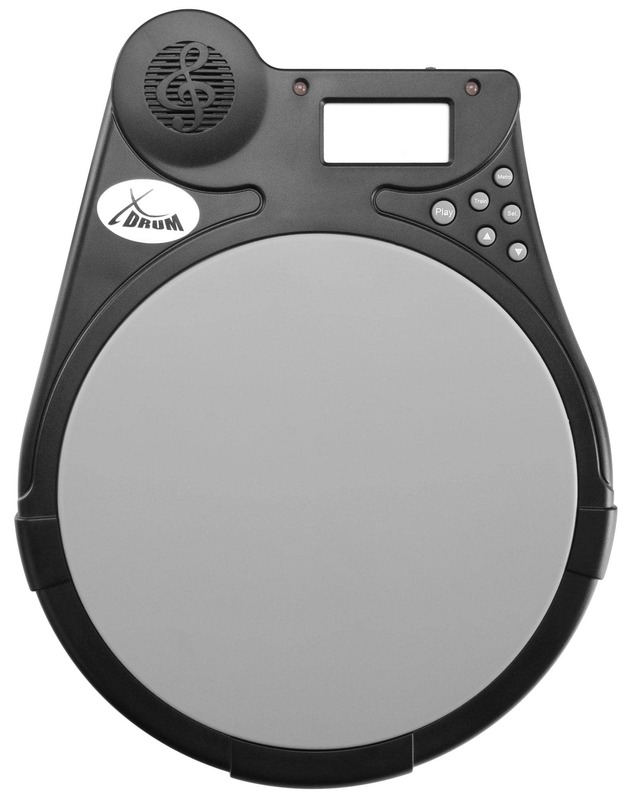 The XDrum Practice Pad offers a metronome, six different training programs with programmable beats (0,1,2,3,4,5,6), nine different drum styles from disco and hard rock to cha-cha, a beat counter for counting strokes in a selected time period from 15-90 seconds and an adjustable speeding up or slowing down of the tempo (from 30 to 260 bpm). 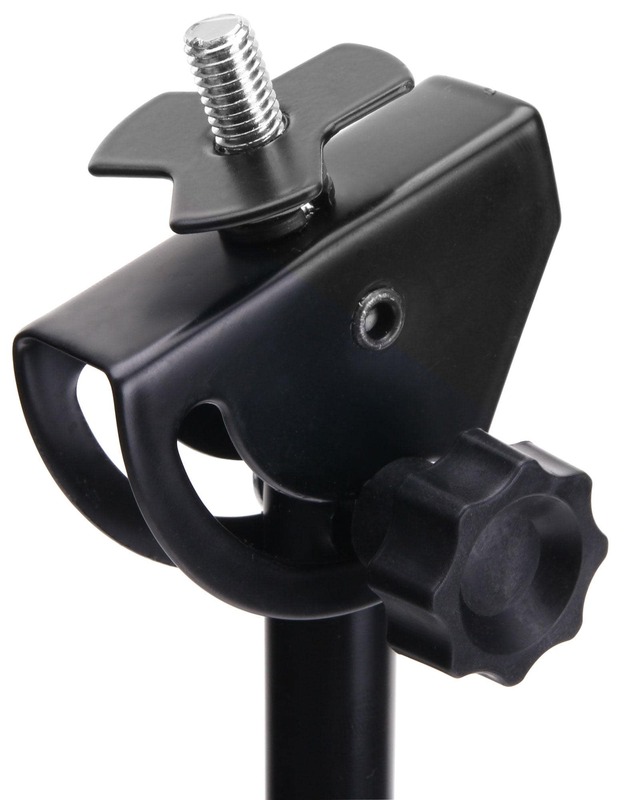 All in all, you will receive a compact tool perfectly equipped for practicing different timing and groove exercises. 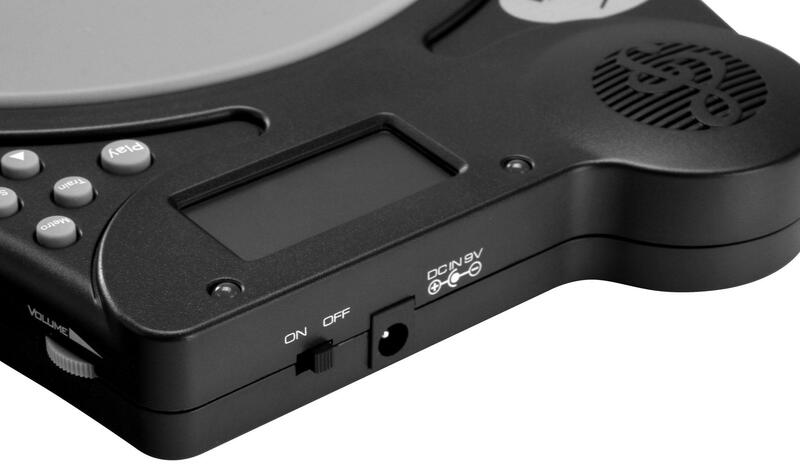 Setting the program is easy with the buttons in the upper right and the clear LED display. 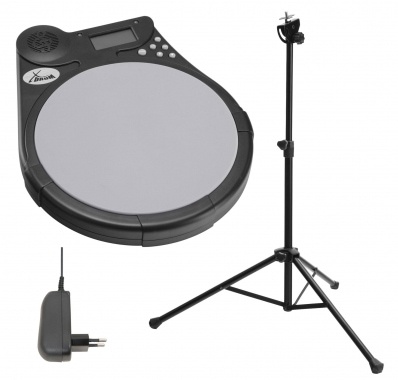 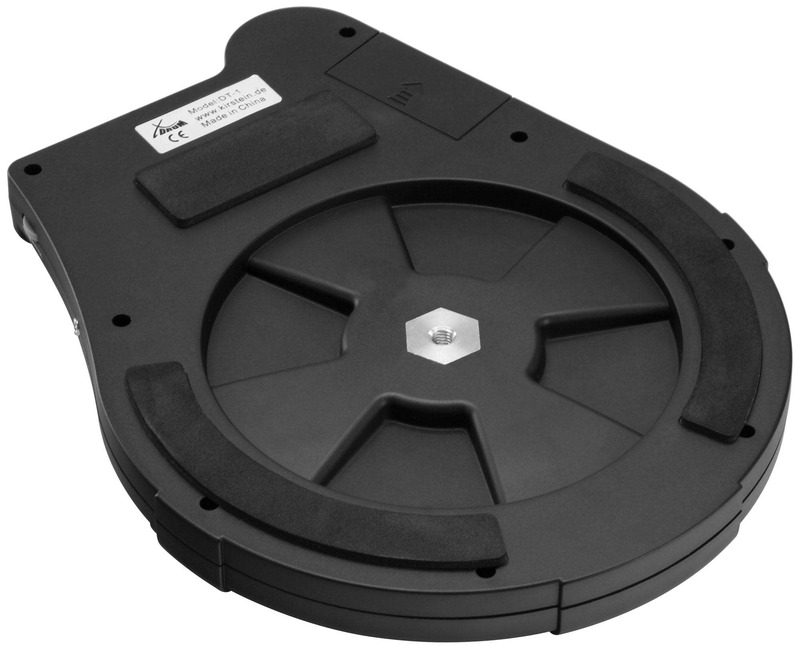 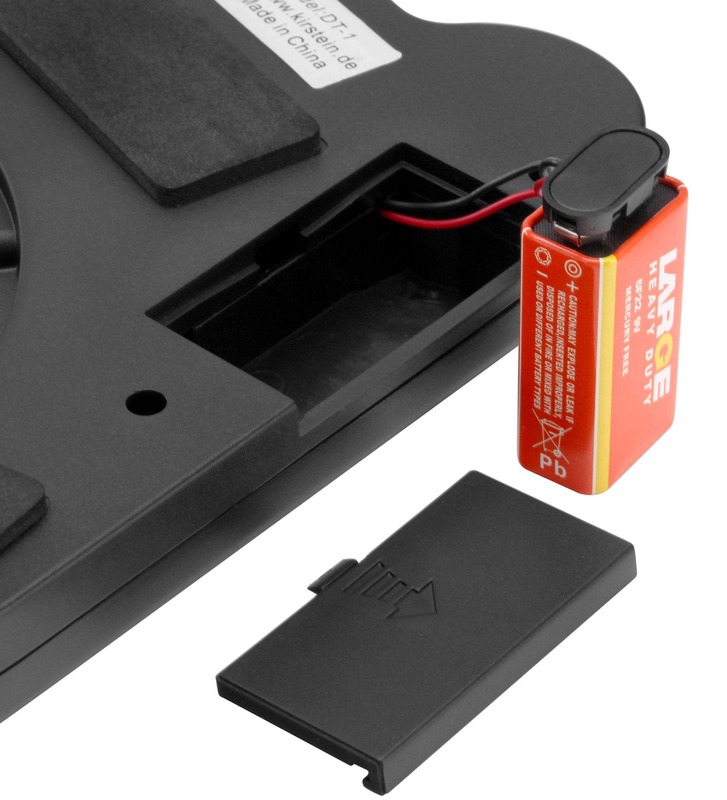 For total flexibility, the drum pad is equipped with a 9V battery pack (included) so that you can take it anywhere. 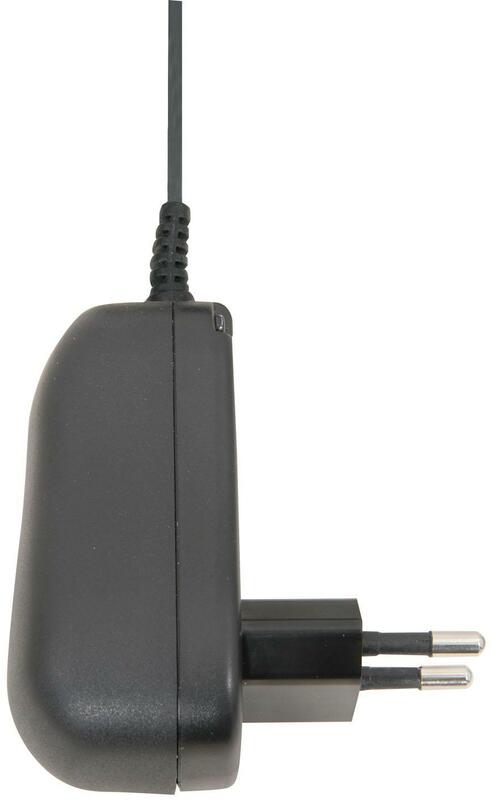 Alternatively, the DT-950 XDrum can also be plugged in with the included power cable. 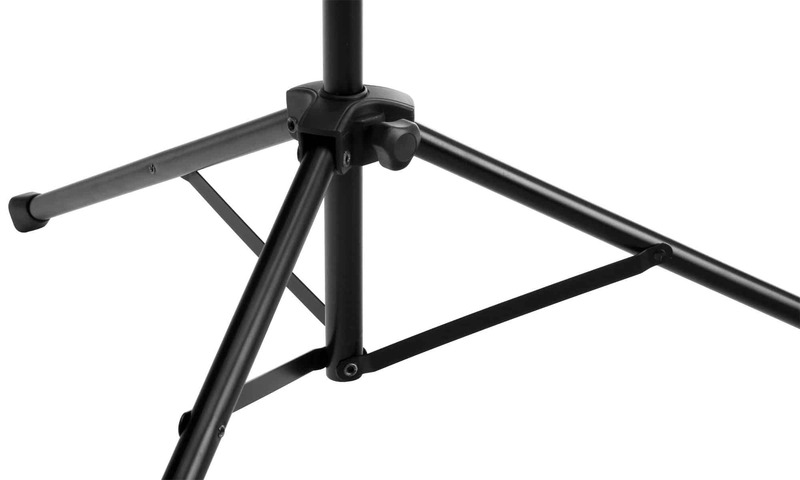 In order to ensure a firm grip at home or in the rehearsal room, there is a thread for mounting on a cymbal stand located at the bottom and foam rubber grips to keep it from slipping on smooth surfaces. 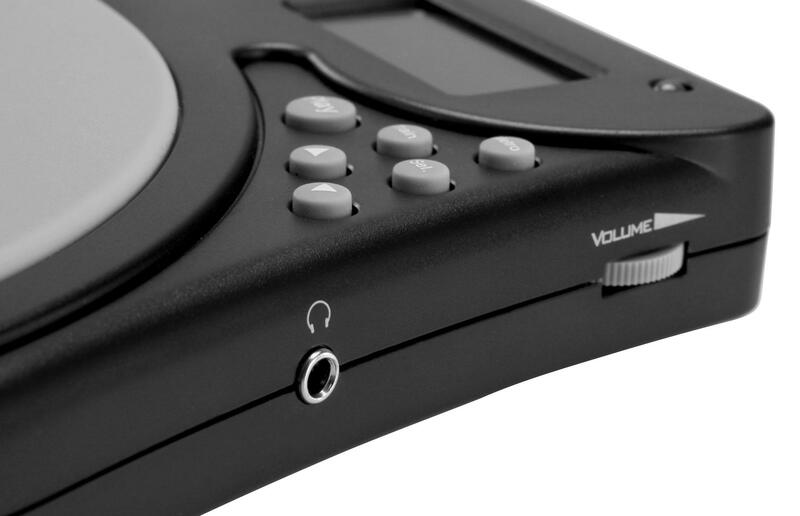 To practice with the drum tutor silently, there is a 3.5 mm headphone jack when you don't want to use the speaker.